Manchester United forward Anthony Martial has been recalled to the French national team ahead of their upcoming fixtures against Holland and Uruguay. The former AS Monaco prodigy has been out of Didier Deschamps' squad since March, missing out on a place in their World Cup winning side to the likes of Florian Thauvin (Marseille), Ousmane Dembélé (Barcelona) and Thomas Lemar (Atlético Madrid). However, the national team confirmed on social media that Martial will now officially return to the squad for their UEFA Nations League match against the Netherlands, as well as their international friendly against Uruguay. This is because the 22-year-old has been one of the standout performers for Manchester United under their mini-revival in recent weeks, and he has reportedly been selected to fill in for the injured Lemar. Martial has scored five goals in his last four appearances in the Premier League, including a brace against Maurizio Sarri's Chelsea at Stamford Bridge. There's also a notable call up for Crystal Palace defender Mamadou Sakho. He was also one of the club's most threatening players during their most recent match against Juventus in the Champions League, acting as a constant thorn in the side of a defence which is often lauded as the best in Europe. 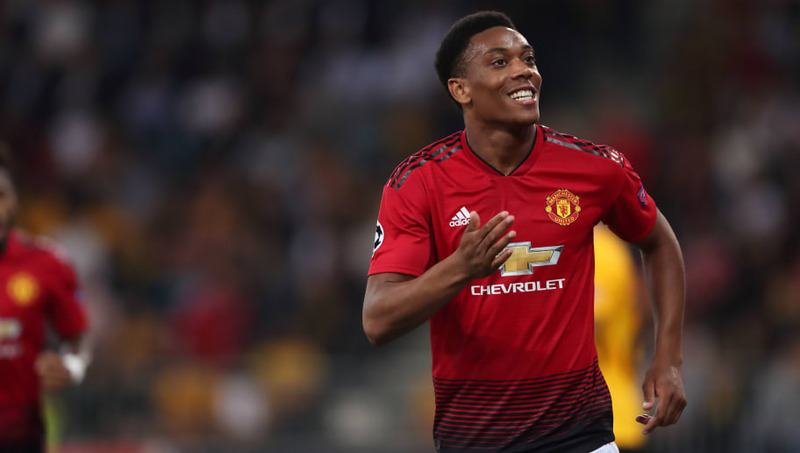 Despite being out of action for Les Bleus for eight months, Martial's record should give fans a lot of confidence heading into their match against the Netherlands, a game which could open up a seven-point gap at the top of the group. Martial has only ever been on the losing side in two of his 18 appearances for France, one of which came after extra time during the European championships back in 2016 where he made a 10-minute cameo appearance. France's only other defeat with Martial on the pitch came in somewhat of a phantom game for Les Bleus. They faced England at Wembley in 2015 just days after the terror attacks in Paris, where international midfielder Lassana Diarra's cousin was one of the 129 people killed.